I am always on the lookout for reasonably-priced hotels in Spanish cities. I don’t mean they have to be particularly cheap, just good value for money, and less than, say, €100 a night. 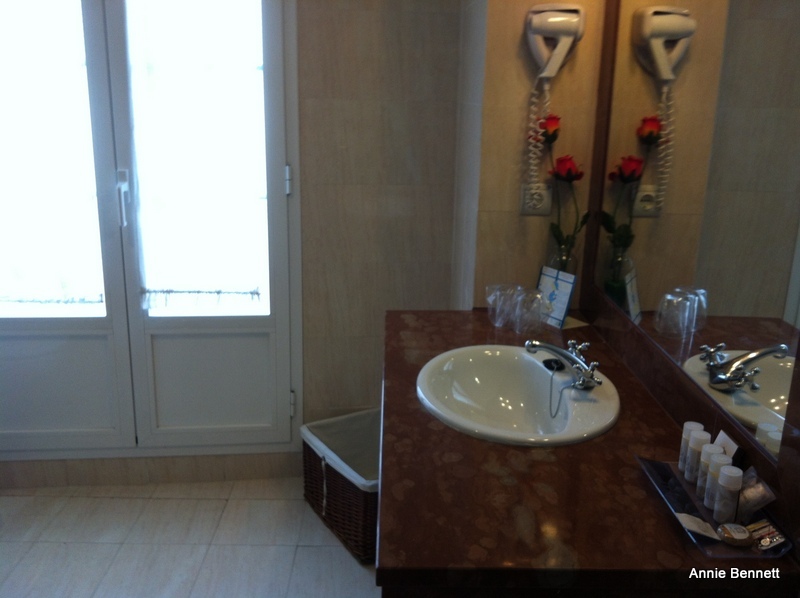 While there is no shortage of hotels in Spain in that price bracket, quality and services vary enormously. 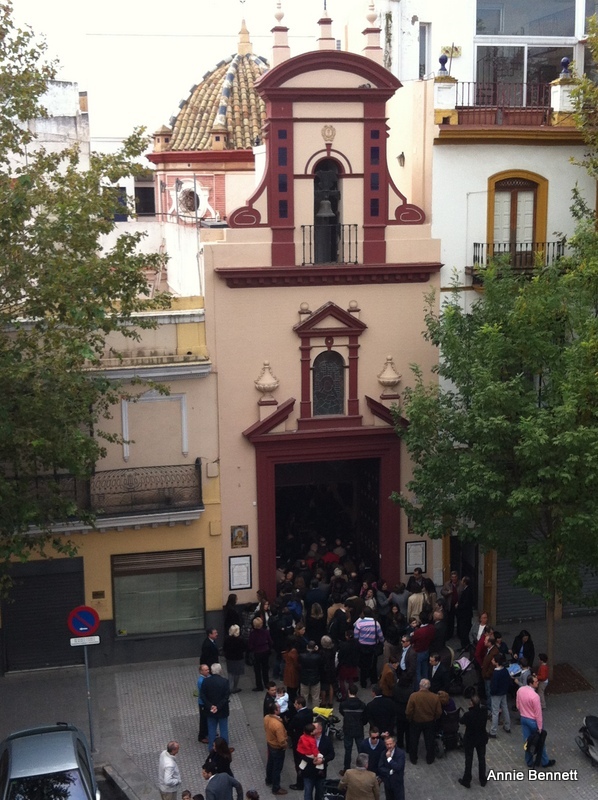 Before coming to Seville in Andalucía earlier this week, I asked my friend Shawn Hennessy where she would recommend. Shawn has lived in Seville for almost 20 years and has earned a reputation as the Queen of Tapas owing to her highly-successful tapas tours around the traditional and gourmet bars of her adopted city. She got straight back to me: “The Adriano is run by lovely people who really care about what they do, and is in a great location right in the centre.” That was all I needed to know. A friendly welcome is really important to me – and to most people presumably – and you certainly get that at the Adriano – from both Claudio, whose family own the hotel, and Manuel on reception. This is the kind of place where most of the staff have been there for years and it all feels like a big family. Although I arrived around 12.15pm, well before the 2pm check-in time, my room was ready so I didn’t have to leave my bags and come back later. Room 309 is a superior room on a corner with windows on two sides, overlooking Calle Adriano with a view of the Baratillo church opposite. It’s hard to believe that the Adriano is officially only a two-star hotel – but then again, I’ve never been able to fathom the star ratings in Spain. Maybe it’s because it’s got a café on the ground floor, rather than a proper restaurant. Anyway, my room was more like four-star standard, because of the size, the quality of the bed, the flatscreen television and the large bathroom with a hairdryer and good vanilla-scented shampoo and gel. There’s free wifi with one password for all devices that you only have to enter once. Décor is classic, with no complicated light switches or shower controls. Apart from the warmth of the staff, my favourite thing was the breakfast, which you have in the café on the ground floor or on the terrace outside on the pavement. There’s no buffet; instead you just choose from a menu of infinite permutations of toast, made with the soft mollete rolls that are typical of Antequera in Malaga province. I went for crushed tomato and olive oil every morning, along with fresh orange juice and a great café con leche made to order – no depressing jugs of tepid grey-brown liquid here. 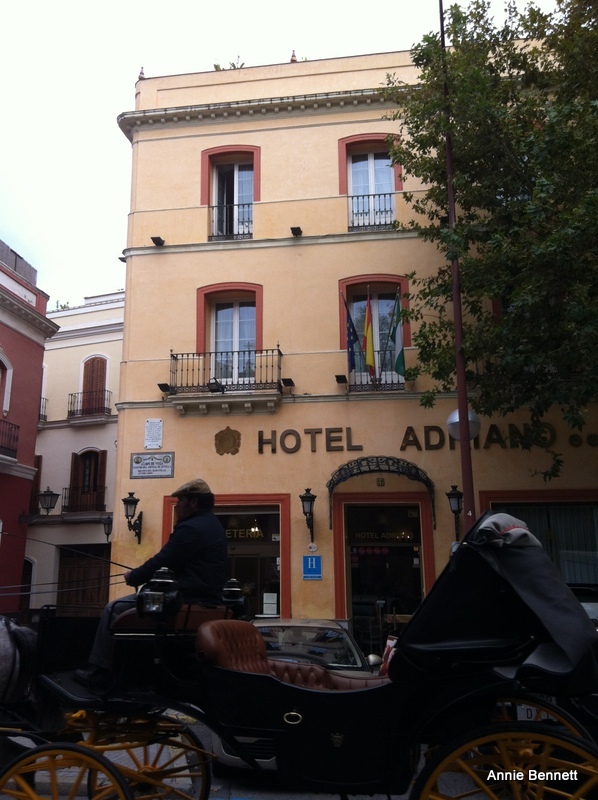 The Adriano occupies an elegant 18th-century building in the Arenal area and is near the bullring, the Guadalquivir river, the cathedral, tapas bars and shops. Although dead central, Arenal has an authentic neighbourhood feel.There are 34 rooms, which are all different and undergoing constant improvement and updating.Doubles start from €60, €70 including breakfast. 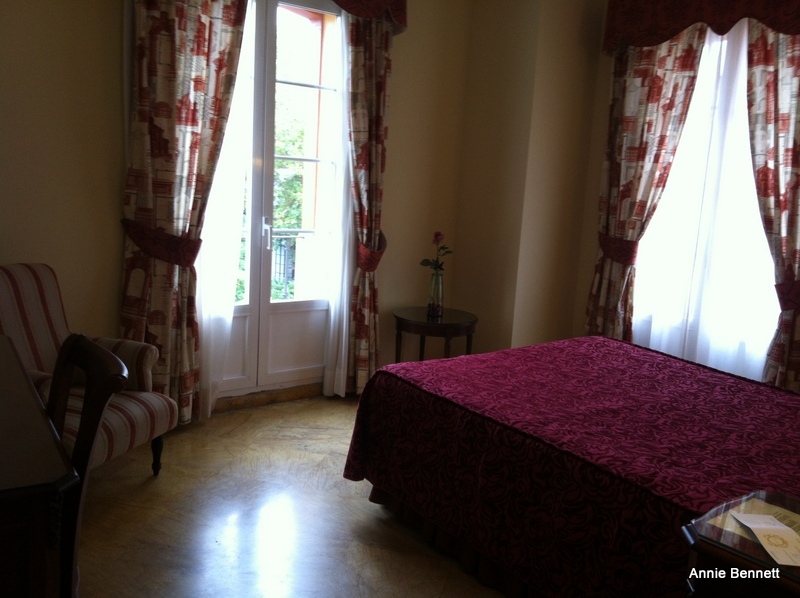 My room, 309, which is a superior double, costs from €80, or €90 including breakfast. There’s a small gym, a large jacuzzi and a roof terrace with sunloungers, but I didn’t give that a whirl as it’s the end of November. Next time!